I’m a coastal geomorphologist with over 20 years experience studying and monitoring coastal processes and landforms. My work has focused on the rip current hazard on beaches from both a physical and social science perspective. I also run a community beach safety education program called ‘The Science of the Surf (SOS)’ involving community and school presentations as well as social media presence on YouTube, Facebook and Twitter. SOS has won numerous awards and received significant media attention both in Australia and overseas. I am extremely passionate and committed to reducing the number of fatalities and accidents that occur on beaches, most of which are largely due to lack of education and awareness. 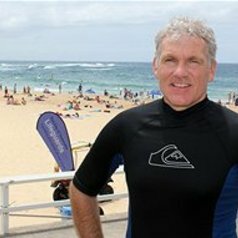 I am on LinkedIn as I am keen to work with other people and organisations involved with beach safety, drowning and education as well as coastal related projects. Specialties: Beach and coastal hazards, beach safety education, coastal processes and shoreline response, community engagement, science communication and outreach, scientific and environmental writing, education and training, media communication and engagement, public speaking.